Welcome home to your beautiful 4 bedroom colonial home in the desirable Hawthorn Forest community. Your new home features Brazilian Cherry hardwood flooring throughout the entire 1st floor, a large kitchen with granite counters, stainless steel appliances and a two way see through fireplace servicing the two-story family room and nook. The spacious master suite includes his and her walk-in-closets, a master bath with dual vanities and a large soaking tub. Major updates include roof in 2008, new windows as of 2014, first story exterior painting 2019, furnace and air conditioning 2010, water heater 2016, kitchen & powder room granite 2012, kitchen appliances 2014. 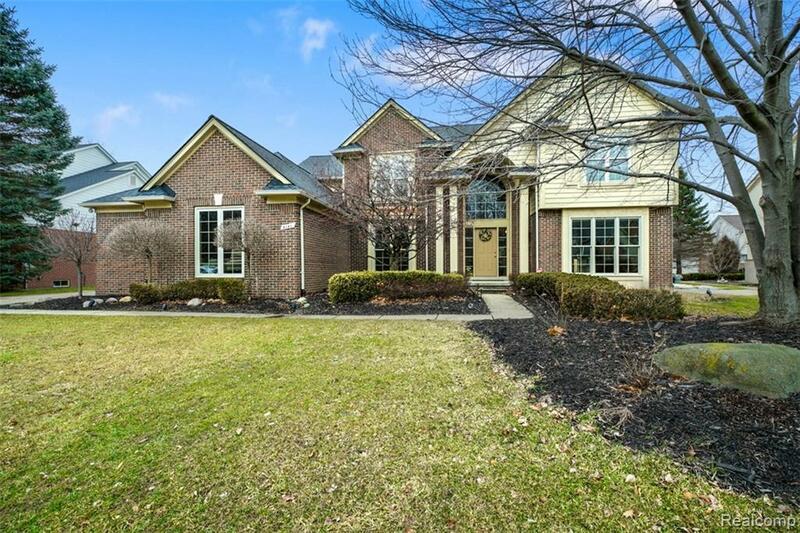 This property is located a few minutes from Downtown Rochester, shopping and dining at The Village of Rochester Hills, access to I-75 and M-59 and is serviced by these award winning Rochester Schools: Musson Elementary, Van Hoosen Middle School and Rochester Adams High School.